These days, when we take travel so much for granted that we moan about a two hour delay on an intercontinental journey, it is easy to forget that at the beginning of the 17th century it would take 16 days to travel by stagecoach from London to Edinburgh. Main routes were not well maintained, turning to muddy rutted mires in winter. Most local routes would have been no more than cart tracks, footpaths and bridleways.Turnpikes began to spread through the country in the 18th century, enabling road maintenance to be funded by tolls, and transport improved. Coaches acquired springs of a sort, and journeys were timetabled. Even so, by 1815 only about 700 miles of the 6000 miles of Devon's roads for wheeled traffic were maintained by Turnpike Trusts. 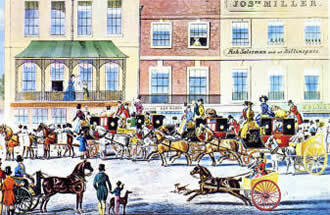 In 1725 the coach journey from Exeter to London would have taken 6 days. 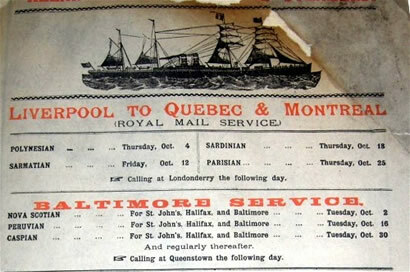 This was reduced to 24 hours on the Mail Coaches by the end of the 18th century, though the carrier's wagon drawn by a team of shire hoorses would still take 4½ days. It was quicker to walk on many journeys. And of course for most people most journeys would have been walked, or occasionally the local carrier's cart would have been used. 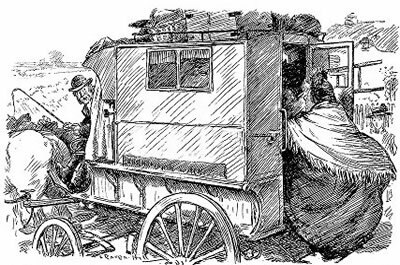 The majority of our ancestors would only have moved around a cluster of parishes such as those surrounding Crediton and Sandford, travelling the few miles a laden cart could manage in a day on country tracks. 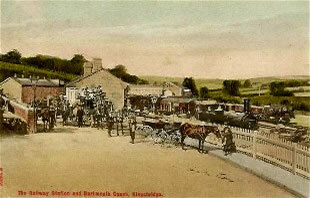 Nonetheless some travelled further afield before the railways eased the burden. As an alternative to roads there was the sea. There were ferries linking North Devon to South Wales for many years before a regular service was established by Pockett's paddle steamer service that connected Swansea, Ilfracombe and Bristol. Toll gate at the exit from Exeter at junction of Blackboy Road and Pinhoe Road. 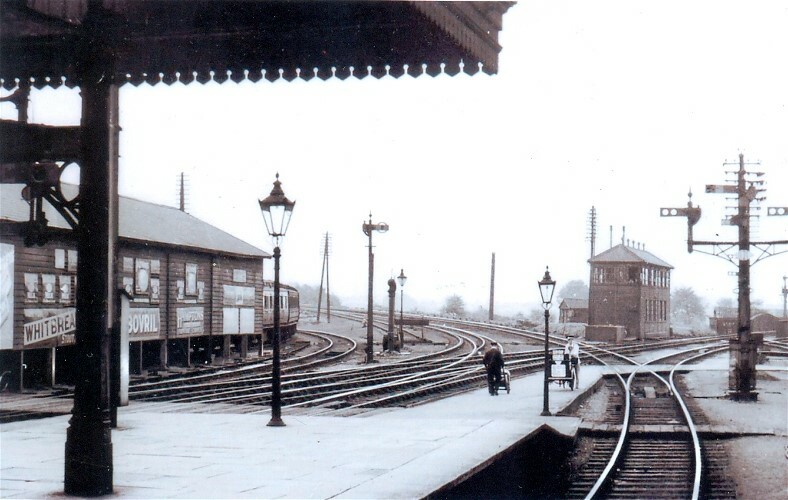 By 1850 most towns of any size had railway stations. Our families took advantage of this improved communication, migrating much further afield to seize the opportunities that accompanied the changing social and economic climates. 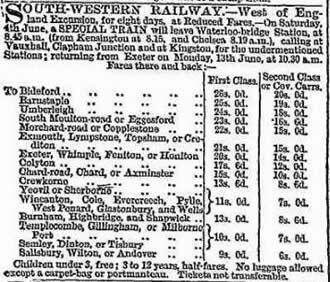 In 1845 the Bristol and Exeter Railway provided access to Bristol and beyond. It joined the GWR, and from Bristol, of course, one could travel to its London Terminus at Paddington, or join the great rail network that had spread across the country. 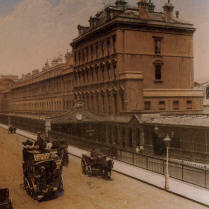 In 1860 the London and South Western line finally linked London's Waterloo Station to Exeter via Salisbury and Yeovil. 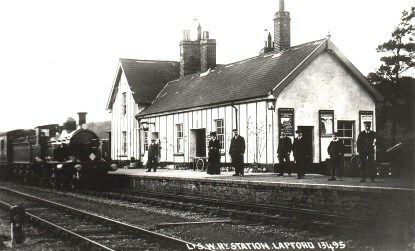 By 1870 the railways nationally were carrying 350 million passengers per year. 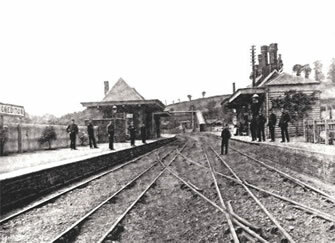 It is evident that members of our family took advantage of the railways arrival, and the opportunities for work in other parts of England to move away from Devon. Of the family members who migrated to London, it was almost as if once arrived in the capital, they could go no further; several of them settled in the districts surrounding those two great London termini. Heards, Pittses, Feys, Turners, Carpenters, Labbetts and Wensleys all settled in Paddington. Feys, Loyes, Burridges and Linscotts settled in Bermondsey, Lambeth, Southwark and Camberwell, near Waterloo. 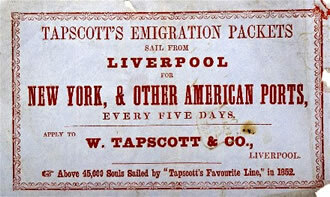 In the 16th and 17th century some 750,000 people emigrated to the American colonies, so emigration was well established long before the 19th century. And of course all parts of the British Empire drew traders and entrepreneurs, administrators and managers, teachers and lawyers as well as the military. In India in the mid 19th century for example there were some 40,000 British soldiers, 2,000 British in the Indian Civil Service, and then merchants, partners and others. 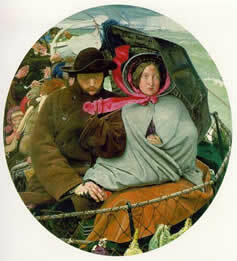 On average 91,000 people were leaving Great Britain and Ireland every year between 1825 and 1849. But the age of mass migration from 1850 to 1913 saw a major expansion in migration from Britain and Continental Europe - nearly 30 million European migrants were absorbed by the United States alone. The driving factors for this mass migration included the reduction in the costs of the passage, the potential benefits for the migrants, open borders and frequently cash incentives of some description from the countries that needed labour. 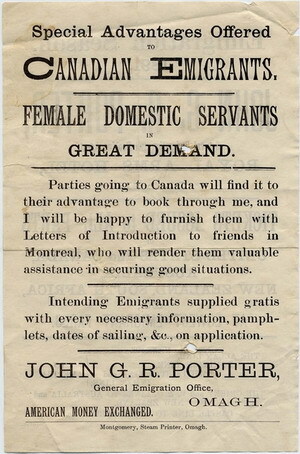 A single page of classified adverts for the Daily Post of 1860 carried over 40 advertisements for passage to Canada, Australia, America, New Zealand and the Mediterranean. Packet ship. 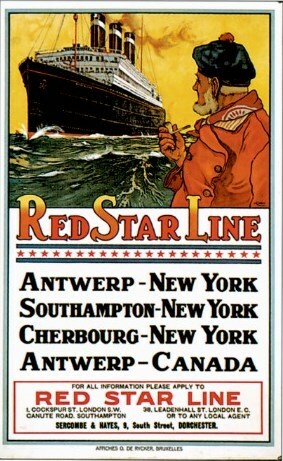 They were mostly American owned; A packet ship was a ship running a scheduled service, carrying mails, freight and passengers. Packet steamers later adopted this name. In North America the country was expanding westward. There were distinct hiccups for the city-bound migrant from time to time, but for the migrant willing to find some land and work hard to get the most from it, there continued to be benefits beyond anything available in Europe. In England the 1870s saw a massive decline in agriculture, with labourers forced off the land by foreign imports and increasing mechanization. Many of those moved to the industrial centres of the United Kingdom, but equally many sought a fresh start overseas. Not only can one map where our families went, but where they came from, and to a degree when they were there. We have analysed the travel for some of our families to map where they went, and to some degress when some families tended to travel. it is enlightening to explore which families were willing to take the risk of even a short journey to an uncertain, but maybe better future. There are a number of families mapped here, and the page will be regularly added to. In Australia from about 1815 the complexion of the penal colony began to change, as free settlers arrived from Britain and Ireland and new lands were opened up for farming. Despite the long and arduous sea voyage, settlers were attracted by the prospect of making a new life on virtually free Crown land. Many settlers occupied land without authority; these squatters became the basis of a powerful landowning class. As a result of agitation by the free settlers, transportation of convicts to Sydney ended in 1840, although it continued to the smaller colonies of Van Diemen's Land until the early 1850s and Moreton Bay (founded 1824, and later renamed Queensland) for some years longer. The small settlement of Perth, founded in 1829 on the Swan River in Western Australia, failed to prosper and instead asked for convicts. In contrast, South Australia, with its capital Adelaide founded in 1836, and Victoria, capital Melbourne, founded in 1839, was settled only by free settlers, and has no convict settlement history.Once settlers had crossed the mountains around Sydney, Australia too had become a land that was expanding into its hinterland. 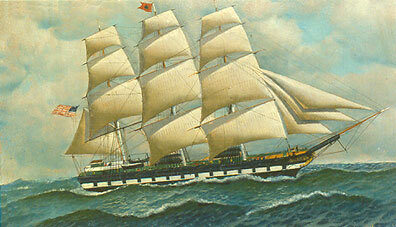 There were further incentives to sail south, including the gold rush of 1851. About two per cent of the population of the British Isles emigrated to New South Wales and Victoria during the 1850s. 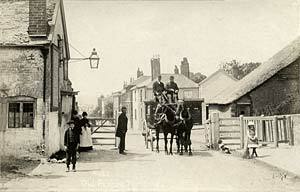 But cash bounties had also been offered from 1832 to attract settlers. Various bounty schemes continued until 1897, but by 1861 most passages were unassisted. Some branches of the family were more adventurous than others. 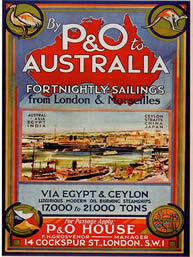 But many emigrated,to North America, to Australia and New Zealand, and to the East Indies. 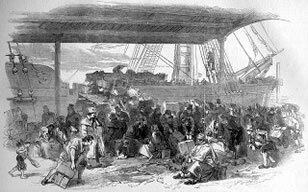 Download an article describing migration in the 1850s, and transcriptions of two articles with enticements to migrate. Near Enough tells the stories of some of our families who moved away from their homes to seek their fortunes in other parts of the United Kingdom. They may have travelled there on foot, by coach, ferry or train. 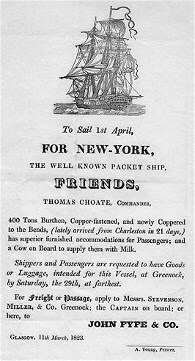 Foreign Shores tells of the families who went further afield to New Worlds across the Atlantic or in the Southern Ocean. Family Geography maps our families before and after their moves.